Are the Orioles satisfied with merely being good in a division that demands greatness? Two names dominated the free-agent market this winter: second baseman Robinson Cano, who signed a $240 million contract with the Mariners in December, and Japanese pitcher Masahiro Tanaka, who signed a $155 million deal with the Yankees in late January. The Baltimore Orioles would have been an ideal fit for both players. Their possible Opening Day second baseman got nine at-bats in the majors last season, and their rotation is currently heavy on no. 4 starter types. Yet the Orioles were never really in play for either guy. Of course, money talks. In 2013, the O’s spent just a few million more on payroll than the Milwaukee Brewers, who play in the league’s smallest geographic market, and just $10 million more than the Kansas City Royals, who ranked second to last in total revenue last year. It’s no great surprise that a franchise that ranked in the middle of the pack in payroll last season and 23rd as recently as five years ago didn’t suddenly drop $400 million on two players. On the other hand, it’s hard to understand why the Orioles aren’t spending at all. After winning 178 games the past two seasons, the O’s appear to be at a place on the win curve where minor upgrades could make a big difference — and where a major move could provide massive returns in both the win column and team bank account. Yet Peter Angelos’s team has failed to act, with $72 million currently committed to 15 players and a few low-impact arbitration rulings to come. Barring any impending signings, Baltimore seems to have settled for a roster that figures to be one of the cheapest in all of baseball despite boasting revenue streams to support more. More than almost any other team, the Orioles are in a state of limbo. To figure out why, and to diagnose where they should go from here, we need to consider a dizzying array of factors, including an honest evaluation of team talent and AL East competition, the incredibly opaque realm of team finances and TV deals, and the riches-to-rags-to-riches recent history that’s affected both the team’s record and bottom line. Once upon a time, the Orioles were the Yankees and Dodgers of the sport. In 1996 and 1998, the O’s spent more on payroll than any other team. Considering how teams earned money back then, it made perfect sense: Attendance was king, and Baltimore led the American League in that category every year from 1995 through 1998, then finished second in 1999 and 2000. 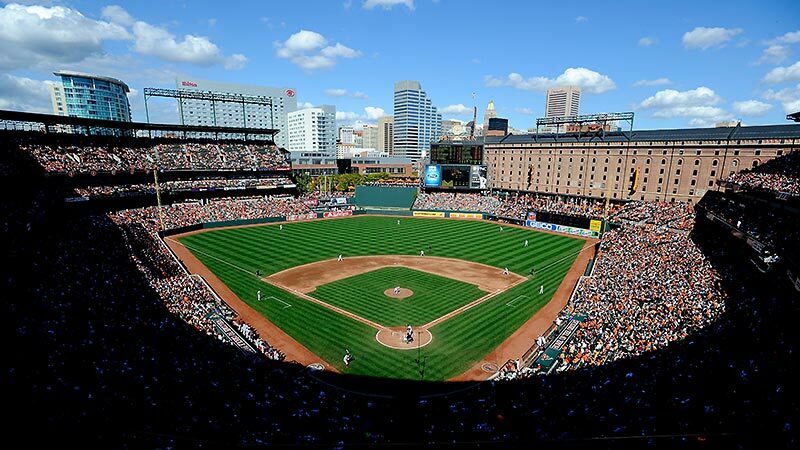 The immense appeal of Oriole Park at Camden Yards (which opened in 1992 and became the gold standard for new ballparks) combined with the team’s on-field success (the O’s reached the ALCS in 1996 and ’97) made the team a financial powerhouse. In 1998, however, the O’s started to falter, going just 79-83. Over the next few years, Baltimore became a cautionary tale for how spending on high-priced talent guaranteed nothing. In 2002, the O’s Opening Day payroll was $60.5 million, down 27 percent from just two years prior. At the end of that ’02 season, Angelos cleaned house, letting Syd Thrift leave and hiring Jim Beattie and Mike Flanagan as co-GMs. The new duo had a clear mandate. Beattie and Flanagan quickly tried to make good on that promise. The team’s payroll rebounded to nearly $74 million in 2003.1 Nearly a full year after drafting Canadian left-hander Adam Loewen with the no. 4 overall pick, the O’s signed him to a major league deal worth $4.02 million. After the 2003 season, they inked veterans Javy Lopez and Miguel Tejada to lucrative, long-term deals. Even after those signings, though, the Orioles spent just $51.6 million on 2004 Opening Day salaries, as veterans such as Scott Erickson and Tony Batista left via free agency, and several players with deferred salary payments saw those agreements end. Fans’ patience was starting to wear thin, and attendance tumbled. Every team goes through some lean years, but the Orioles suffered from the creeping public perception that Angelos was meddling where he shouldn’t, and had become cheap to boot. Beattie said Angelos never ordered him to chop payroll, nor did he issue any sweeping statements demanding that the co-GMs avoid spending for premium talent. When I asked Beattie if there was a player he wanted that the Orioles failed to acquire because of budget constraints, however, he didn’t hesitate. The star right fielder turned down several interested suitors, ultimately signing a five-year, $70 million contract with the Angels, who got exactly what they wanted, and exactly what Beattie expected: one of the best hitters in baseball. In Guerrero’s first season in Anaheim, he won AL MVP. Andy MacPhail took over as Baltimore’s new GM in June 2007. His main objective in Year 1 was to gauge how much major league talent the Orioles really had. It turned out to be not much, partly because few of their high draft picks panned out. From 1998 through 2001, Baltimore’s first-round and supplemental first-round picks included Rick Elder, Mamon Tucker, Mike Paradis, Richard Stahl, Beau Hale, Tripper Johnson, Chris Smith, and Bryan Bass, not one of whom played in the majors for the O’s. Neither did Wade Townsend, the team’s 2004 first-round pick, who returned to Rice after failing to reach a deal with Baltimore. Thanks in part to those many draft whiffs, the Orioles posted their 10th consecutive losing season in 2007, going 69-93. After years of lousy player development, guys like Nick Markakis started to blossom. The pitching staff, long the Orioles’ bugaboo, looked like it might be coming together as well, with Brian Matusz, Zach Britton, and Jake Arrieta showing signs of progress. Arrieta is now a Cub, Matusz is in the bullpen, and Britton has bounced between the minors and majors, but near the end of MacPhail’s tenure, all three looked like potentially big contributors. The Bedard trade wasn’t the only notable deal MacPhail made, of course. One of his final acts at the helm came at the 2011 trade deadline, when he sent Koji Uehara to the Rangers for Tommy Hunter and … future superstar Chris Davis. Conventional wisdom holds that greater spending leads to more winning, but, really, winning leads to more spending. Namely, the players who help a team win games become more expensive, leading to progressively steeper arbitration awards and, in certain cases, multiyear extensions. As the Orioles’ best players entered their primes, the team responded accordingly, signing Markakis to a six-year, $66 million extension in January 2009 and inking Jones to a six-year, $85.5 million extension in spring of 2012, seven months after MacPhail left. While the payroll hit $86.9 million in 2011, however, Baltimore suffered its 14th consecutive losing season. While signing a few overpriced back-end starters would’ve added heft to the payroll during MacPhail’s tenure, it wouldn’t have affected the Orioles’ chances in the loaded AL East. Aside from backing down on Guerrero, failing to sign local product Mark Teixeira (whose eight-year, $180 million deal now looks awful for the Yankees), and not locking up starting catcher and Scott Boras client Matt Wieters (with rare exceptions, Boras usually encourages his clients to test the open market), it’s hard to really knock the Orioles’ decision to keep payrolls low for most of the 2000s. Attendance plummeted from 3.7 million in 1997 to 1.8 million in 2011, and the rebuilding process was still under way. While the O’s were losing fans and games, a new threat was emerging 40 miles south. When the Montreal Expos became the Washington Nationals in 2004, the Orioles’ territory included all of Maryland, Virginia, D.C., and Delaware, plus parts of West Virginia, Pennsylvania, and North Carolina. The Nats had to negotiate a deal to claim some of that turf, but their status made the negotiations tricky, as MLB owned the team. With the Orioles controlling the territorial rights, MLB being maniacal as always about avoiding court proceedings, and the league determined to make baseball work in D.C. after failing in Montreal, Angelos had all the leverage. In 2005, MLB and Angelos worked out a deal allowing the Nationals to operate in D.C. in exchange for a new local TV deal that overwhelmingly favored the Orioles. In July 2006, the Mid-Atlantic Sports Network launched a full-time sports programming slate headlined by O’s and Nats games. The terms dictated that each franchise would receive the same amount in rights fees, but that Baltimore would control a 90 percent share of MASN and any MASN-owned spinoff networks at the start; the Nationals would pick up an additional 1 percent stake each year after an initial two-year wait, until eventually reaching a 33 percent cap. Angelos got his lopsided deal, while the Nationals, who play in the nation’s seventh-biggest market,4 got screwed. While the Orioles are bringing in quite a bit more than the Nationals, neither team is profiting from MASN as much as it could be. According to SNL Kagan, a group that analyzes cable and broadcast network deals as well as regional sports networks (RSNs), MASN properties generated $167.8 million in total revenue in 2012.5 The bulk of that money came from advertising and subscriber fees, with 5.4 million consumers paying $2.14 a month. That’s well below the $2.47 industry average for 2012 and $2.69 projection for 2013,6 and several of the media experts and sports deal makers interviewed for this story said MASN should be getting much more. Comcast SportsNet Mid-Atlantic, which primarily airs Washington Capitals and Wizards regular-season games, got $4.02 per month in 2012, indicating the market would likely support a higher rate for MASN. It’s hard to know whether to blame the network’s low subscriber fee on inept management, the timing of the deal,7 or other factors, but whatever the reason, it’s clear MASN will be leaving tens of millions on the table until it renegotiates with local cable providers. When that renegotiation might happen is a mystery. Nishant Tella of Inner Circle Sports, a New York–based investment bank that advises on the acquisition and sale of sports franchises, said that cable companies have a vested interest in keeping these negotiations — and their revenue figures — as quiet as possible to avoid angering customers over rising bills. The same goes for the RSNs, and it goes double for teams like the Orioles that have controlling interests in their networks: If the public fully understood how much money RSNs can generate, outrage over the team’s low payroll would likely ensue. Rights fees are another variable. In 2012, the Orioles and Nationals each got $29 million in rights fees from MASN and its spinoff network, MASN2.8 As part of MLB’s revenue-sharing program, every team must share 34 percent of RSN rights-fees revenue with other clubs. When a team signs a deal with an existing RSN, the network agrees to pay the team a certain amount per year in rights fees, from which that 34 percent stems. If a team owns its RSN, however, it gets to keep a bigger chunk of subscription and advertising revenue. The team must pay itself some amount in rights fees, and while there’s no hard-and-fast rule for what that amount is, MLB tries to ensure that the figure is roughly commensurate with industry averages, adjusted as necessary for market size. Thirty-four percent of that figure then gets thrown into the revenue-sharing pot. After that, the RSN-owning team gets to keep all remaining profit, since MLB considers RSN ownership a separate business venture that’s not subject to the usual revenue-sharing rules. Baltimore is one of the few teams that owns a majority share in its RSN,9 fostering a strong interest in keeping rights fees as low as possible. Controlling the lion’s share of MASN allows the Orioles to reap most of the network’s profits. When the Lerner family bought the Nationals in 2006, it was saddled with this lemon of a deal, in which neither it nor the team’s first president, Stan Kasten, had any say. The terms stipulated that the deal could be renegotiated after five full seasons, and the Nats took their first opportunity to challenge the terms after the 2011 season. When that challenge dragged into 2012, those terms looked even more unfair. After spending years rebuilding a franchise that had been decimated by penny-pinching and mismanagement in Montreal, the Nats finally made the playoffs for the first time, winning 98 games and the NL East title. That same year, the Orioles made the postseason for the first time in 15 seasons. MASN viewership skyrocketed, enhancing the network’s already rising economic profile, but the Nats saw just a fraction of the returns. Since the Nationals couldn’t contest the equity element of the deal, they tried for higher rights fees, asking for $100 million a year. 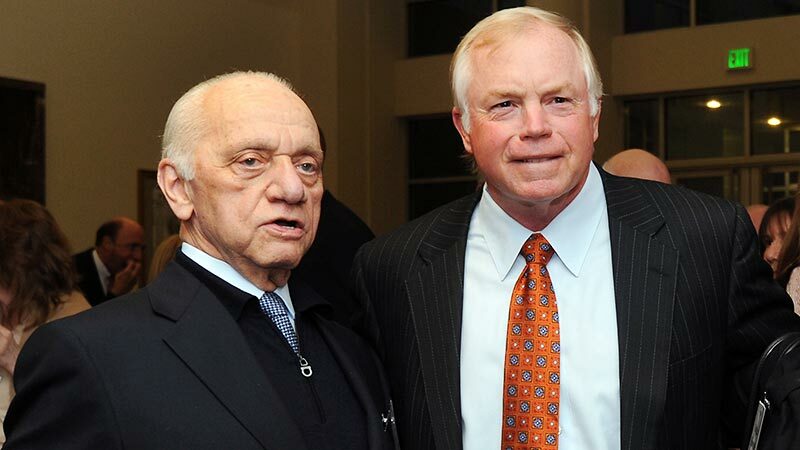 The Orioles countered with a 20 percent raise, to about $35 million. There’s no hope in hell of an easy compromise when the two sides are that far apart, and the Orioles have good reason to dig in their heels. Remember that while RSN rights fees are subject to revenue sharing, the money left after those rights fees have been paid out is not. Remember, too, that the O’s and Nats must make the same amount in rights fees every year. So if Washington succeeded in getting $100 million a year in rights fees, Baltimore would have to pay itself $100 million a year, too. That would force the Orioles to pay the 34 percent revenue-sharing tax on $100 million instead of on the current $29 million. It would also leave MASN broke. One potential resolution would be for the Nationals to acquire a big enough chunk of MASN from the Orioles to make the teams 50-50 partners. A 2013 Bloomberg report pegged MASN’s market value at $492 million, so the Nats would need to pay the Orioles slightly more than $167 million to acquire the 34 percent needed to get to 50-50. Other rumors have circulated. A committee of representatives from the Rays, Mets, and Pirates is brainstorming ways to resolve the MASN dispute, and if MLB eventually forces the Orioles to pay out considerably more in rights fees without receiving any financial consideration in return, it would significantly affect the team’s finances. While Angelos and his representatives on Baltimore’s business side declined to comment for this story, that would be the most logical defense to offer critics who say the team is raking in MASN cash but refusing to increase payroll. For now, the MASN status quo remains. The Nationals aren’t completely helpless, though: According to a source close to the Washington franchise, MLB has sent the team an undisclosed sum every year to help bridge the gap, and to prevent the Lerners from taking matters to court, until the deal becomes more balanced. Amid the ongoing financial disputes with the neighboring Nats, Angelos brought in new blood on the baseball side. Buck Showalter took over as manager in late 2010, making him the seventh Orioles skipper since Davey Johnson’s departure after the 98-win gem of a 1997 season. 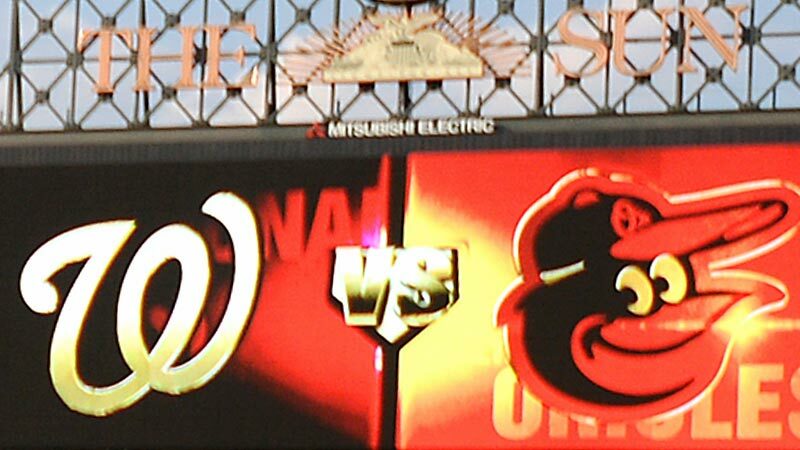 The O’s went 34-23 under Showalter to close out the 2010 campaign, giving fans hope for a better future. But when Baltimore went 69-93 in 2011, it became clear that no matter how gifted Showalter was, he couldn’t lead the Orioles to wins without better players. Following that 2011 season, Dan Duquette took the GM reins. The former Montreal and Boston GM had built a reputation for finding productive players at below-market rates after building an elite bullpen for the 1994 Expos for pennies on the dollar and trading for Pedro Martinez — twice. Taking the solid nucleus built up by his Baltimore GM predecessors, 2005-11 scouting director Joe Jordan, and others, Duquette crafted the 2012 club into one of baseball’s most pleasant surprises in years. He built 60 percent of the starting rotation in that 2011-12 offseason, landing Jason Hammel for Jeremy Guthrie, then leaning on his old pal from the Montreal days, international recruiting director Fred Ferreira, to reel in Miguel Gonzalez from the Mexican League and Wei-Yin Chen from Japan’s Central League. When the 2012 O’s won 93 games and broke both their 15-year playoff drought and sub-.500 streak, they did so with an $84.1 million Opening Day payroll, right around the middle of the MLB pack, and slightly lower than the 2011 team’s total. That 2012 club benefitted from some notoriously good fortune. The O’s went 29-9 in one-run games that year, the best record in those contests by any team, ever. Some regression toward the mean in 2013 seemed inevitable. The best way to fight against it would’ve been to upgrade as many roster weaknesses as possible — in other words, to spend some MASN money. It didn’t happen. Duquette found a few more bargains, most notably plucking Danny Valencia for next to nothing from the Red Sox. But he failed to adequately address the team’s hole at second base, settled for a third-tier option at DH in Wilson Betemit, and suffered from setbacks in the starting rotation, especially from Hammel. The players we have on the roster, a lot of them were on one-year deals. So we have an increase in our payroll from players who performed well. Thirteen of them were in the arbitration process, so we went from about $82 million last year to over $90 million this year. By virtue of their performance, they absorbed additional resources. That’s the way it should be; if you perform well, you should be rewarded. We looked around for a top starting pitcher and a middle-of-the-lineup hitter. But the cost of a top starting pitcher we thought was too prohibitive in terms of what we’d have to give up in a trade. We feel good about what we have. We have a strong middle of the lineup with Jones, Davis, and Wieters. With Markakis and [Nate] McLouth we have good table-setters. Maybe Machado will continue to improve. We’re hoping [Nolan] Reimold comes back and plays well. Maybe some of those young pitchers will improve this year … Hopefully our young guys will continue to develop. A little more patience at the plate would help us offensively. Duquette wound up being right on several fronts. Davis broke out in a way that even his biggest fan couldn’t have imagined. Machado turned into Brooks Robinson. And the Orioles were, while not as successful as they’d been in 2012, an 85-win team that contended into September. Still, bumping payroll by a mere $8 million due to internal raises didn’t seem like an adequate investment. Fans were excited again, and the Orioles had a chance to maintain or even build on their success. Yet the team settled for making just a few minor moves heading into the 2013 season. The Orioles ultimately tied for third place and failed to make the playoffs. The O’s could have used one of two defensible strategies this offseason. The first would have been trading Wieters and Davis, both of whom are Boras clients, and thus nearly impossible to extend. Trading those two would have brought in a huge haul of young talent, which the Orioles could use to upgrade an already solid farm system and set up a potentially big run in a couple of years. Of course, this build-for-the-future plan would’ve alienated fans, who have finally started coming back to Camden Yards.10 Cue the second scenario: aggressively upgrading positions of weakness via free agency. So far, the Orioles have done neither. Meanwhile, the Yankees spent the winter overhauling their roster with several very large, multiyear contracts. The Rays bumped payroll significantly, re-signing James Loney and David DeJesus, acquiring Ryan Hanigan and Heath Bell, and giving closer Grant Balfour11 a market-value, multiyear deal (a rarity in Tampa Bay). The Red Sox, of course, just won the World Series. So for the second offseason in a row, I asked Duquette about the O’s spending, or lack thereof. With such formidable challenges in the AL East; significant holes remaining at second base, DH, and in the starting rotation; a roster that shed two significant salaries in Jim Johnson and Scott Feldman; a team that’s good enough to make a playoff run with two or three solid acquisitions; and the combination of MASN money plus the additional $26 million in national TV money that every team will get in 2014 … why not open the wallet and spend some bucks? There are still plenty of available players who could help the Orioles, and during our conversation, Duquette said he intends to sign a starting pitcher to augment the rotation. The O’s have reportedly talked to Bronson Arroyo, Ervin Santana, Ubaldo Jimenez, and Korean right-hander Suk-min Yoon, while A.J. Burnett could be a match now that he has elected to pitch again in 2014. Baltimore could also pursue a late-inning reliever to fill Johnson’s void, with Fernando Rodney just one of several viable names out there. Duquette also said he’d be willing to sacrifice a draft pick for the right player, meaning Nelson Cruz or Kendrys Morales could be a match if the Orioles seek DH help. Duquette added that he expects the team’s payroll to top $100 million by Opening Day. With Wieters, Davis, and Machado unlikely to sign extensions,12 the payroll currently sitting at the aforementioned $72 million, and a few arbitration cases still in play, Duquette’s $100 million estimate implies Baltimore still has some shopping to do. 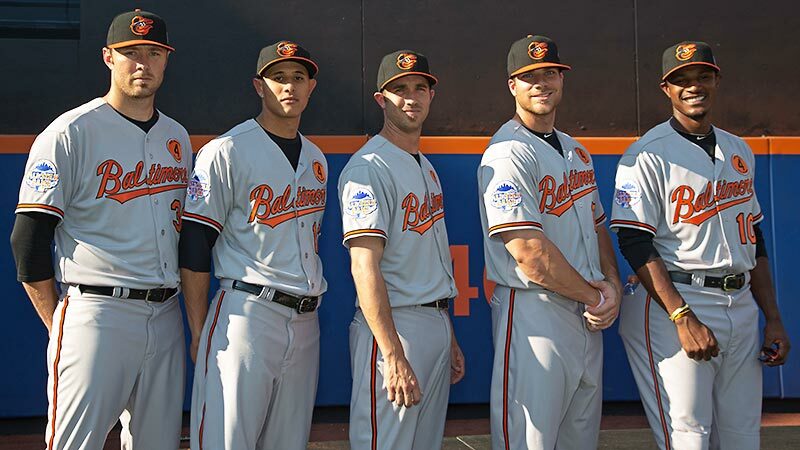 With the players they have plus a little more, the Orioles could certainly contend again in 2014. Duquette spoke very highly of David Lough, an outfielder acquired from the Royals whose defense is adored both by scouts and advanced metrics; Lough is expected to be the team’s Opening Day left fielder, and he might turn out to be another stealthily strong pickup. There’s hope that Wieters’s offense improves this season after two straight down years. Machado is ahead of schedule in recovering from knee surgery, and the O’s are optimistic he’ll be ready by Opening Day. Duquette praised top pitching prospects Kevin Gausman (who struggled in his first taste of the big leagues last year) and Dylan Bundy (who’s expected back in late summer after recovering from Tommy John surgery). The GM said we could see Mike Wright, the Orioles Minor League Pitcher of the Year in 2013, making the majors soon, with Tim Berry, a left-hander who garnered good reviews in the Arizona Fall League, not far behind. This is a decent team, and it could get better with an Arroyo signing here or a Rodney deal there, plus some breakouts from young players. So, no, it’s not completely unreasonable for the Orioles to hedge their financial bets to protect themselves against the possibility that they might have to give the Nationals a lot more money under an amended MASN deal. Still, it’s hard to escape the feeling that by settling for Bud Norris and Jemile Weeks instead of chasing players like Tanaka and Cano, the O’s are selling themselves short; that by spending like the Royals when they can afford to shell out more, they’re letting down their fans; and that in a division that demands greatness, they’ve resigned themselves to merely being good. The Baseball Prospectus–run Cot’s tracks each team’s annual salary figures. Beattie served as the Expos’ GM from late 1995 through the 2001 season, encompassing most of Guerrero’s career in Montreal. Bruce Schoenfeld’s 2013 Angelos profile in SportsBusiness Journal examined the owner’s lawyerly approach to running the Orioles, how that tack can sometimes backfire, and what Angelos’s legacy looks like after two decades of owning the team. A market that includes some of the richest counties in America, making it an even bigger draw for advertisers than population numbers alone. While the 2013 report is not yet available, Kagan projects $179 million in MASN revenue for that year. FanGraphs’ Wendy Thurm frequently examines all 30 teams’ deals and is a must-read for RSN coverage. MASN launched right before the RSN boom. While the teams are profiting from MASN, that $29 million is a puny total compared to this: The Dodgers recently agreed to a 25-year deal worth a mind-blowing $8.5 billion — or $340 million a year, more than 10 times what the O’s and Nats are getting. The Mariners, Mets, and Red Sox also own more than 50 percent of their RSNs. The Yankees used to own the majority of YES Network, but will own just 20 percent after Fox increases its stake from 49 percent to 80 percent. Attendance jumped 34 percent from 2011 to 2013. The O’s agreed to terms with Balfour first, but backed out because of medical concerns. Duquette said he’s in no hurry to work out a long-term deal with Machado, since the phenom offers five more years of controllable service time.